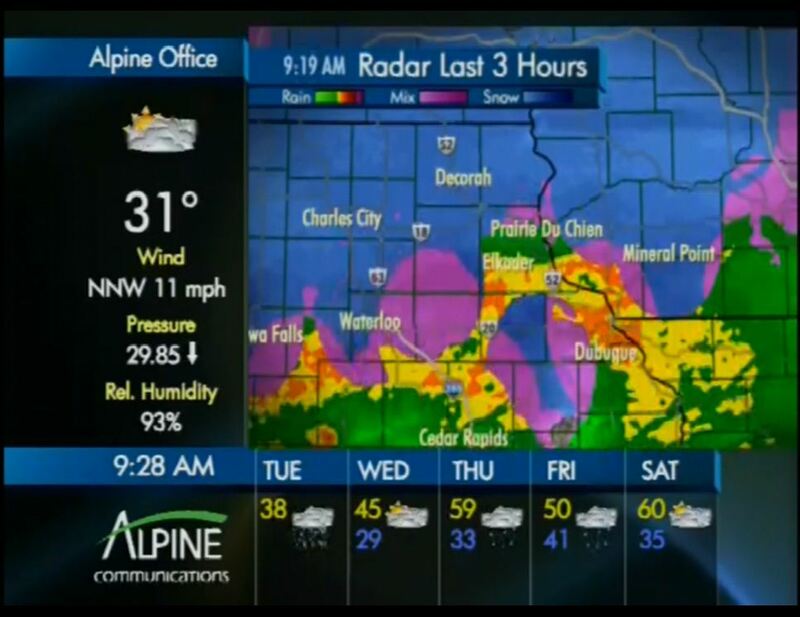 Listen live to KCTN FM100 on Alpine’s FusionTV Weather 100! What is Alpine Weather 100? It is Alpine’s local weather station for Elkader and Guttenberg. FusionTV subscribers have exclusive access to the area’s only dedicated 24×7 weather channel featuring current conditions, national/regional/local radar, 5 hour and 5 day forecasts, and severe weather information. For more information on Alpine FusionTV, call Tammy, Lanette, or Sue at (563) 245-4000.